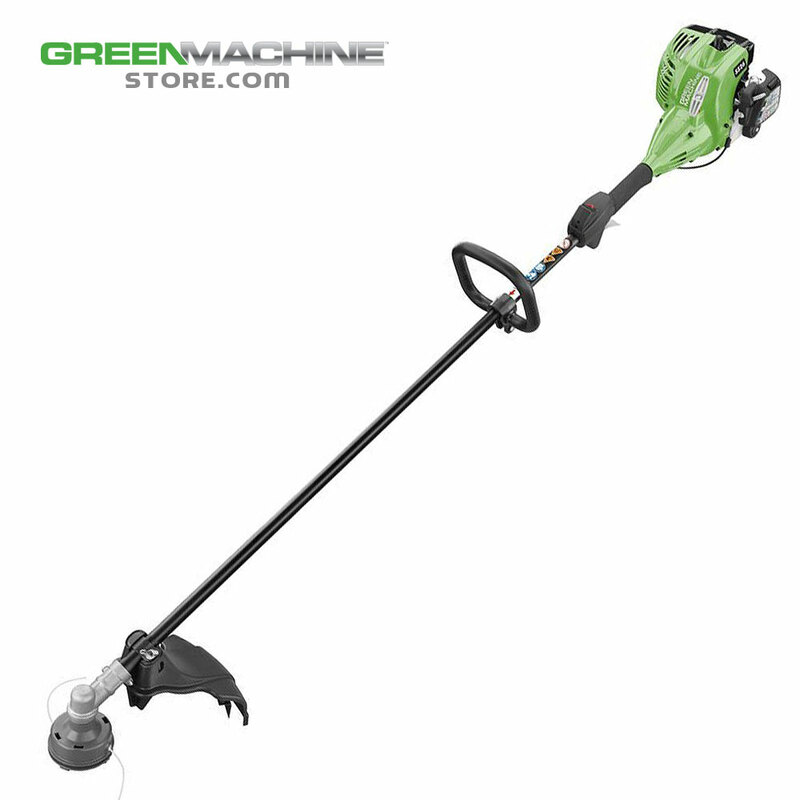 This low cost trimmer from Green Machine delivers the power and performance you would expect from a unit that cost twice as much. Powered by a 2 Cycle, 26cc gas engine that runs at 20% below EPA requirements, yet has the power to deliver professional results. Easy to start, easy to load and best of all easy to use. A great value for homeowner and medium duty use.